You are here: Virgin Islands News Online » News » Five-goal Prentice sends First Impressions joint top! Five-goal Prentice sends First Impressions joint top! 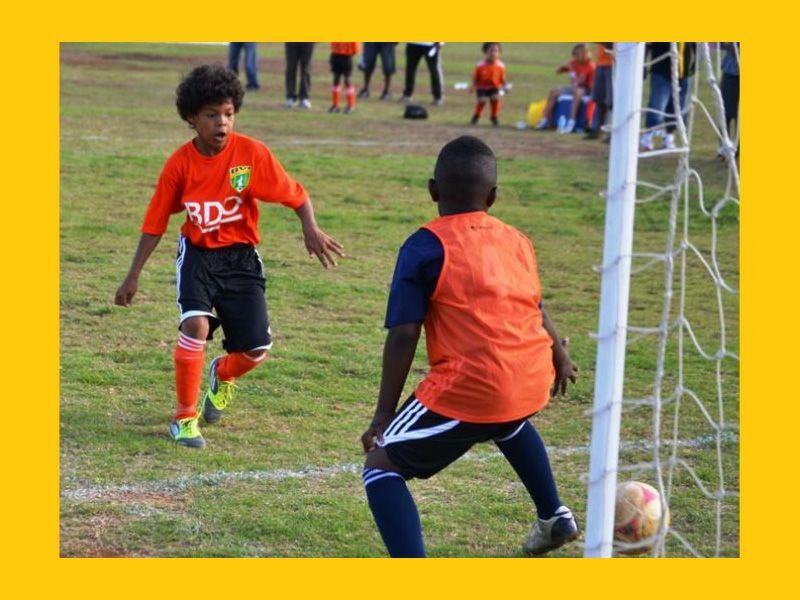 ROAD TOWN, Tortola, VI- Jalen Prentice scored no less than five of his team’s goals as First Impressions beat Bregado Flax 8-0 on Thursday April 25, 2013 in the U-9 Division of the BDO Primary School league on the A.O. Shirley Ground. Scoring from close range, long range and almost at will with first time volleys or well placed powerful drives, Prentice scored a first half hat trick in the 6th, 11th and 12th minutes before going on to score twice more in the second half. His goal fest made it back to back hat tricks for the rising star with a bright future. The opening goal of the game came from Jerome Parkins, brother of Women’s National team player Victoria Parkins, in just the 2nd minute and Nathan Adams made it 2-0 before MVP Prentice went on his spree. Miles Creque rounded out the scoring in the 29th minute. For BFEC, Daniel Scott was named MVP. The other scheduled game in the U-9’s turned out to be a no show from Willard Wheatley Primary who handed the points to St George’s. Primary 5 Exam preparations decimated the rest of the League programme with Rainbow forfeiting to Cedar 1 in the Under 12 Division and the Seventh Day Adventists doing likewise to Enis Adams Primary. The points for Cedar cemented their position atop the standings with 15 points, just ahead of the 13 garnered by First Impressions. Joyce Sammuel sit in 3rd on 10 points and Althea Scatliffe round out the top 4 with 9 points. In the Under 7 Division, Enid Scatliffe Red and First Impressions played a pulsating end to end nil-nil game that saw both sides hitting the posts but unable to find the back of the nets. Christian Vanterpool of First Impressions and Haleem Jacobs of Enid Scatliffe were named MVPs. The draw has done little to improve either teams chances of reaching the top four this season although First Impressions remain in touch of the main pack despite having played more games than anyone else. The Division is led by Cedar on 19 points with Althea Scatliffe 2nd on 16 and Cornerstone 3rd on 15. Are you so weak that you need make fun of children?